One of my favorite evening drinks is a Turmeric Latte. The warming spices, slight sweetness, and creamy taste are said to promote sleep, reduce inflammation, and offer ease in the body. 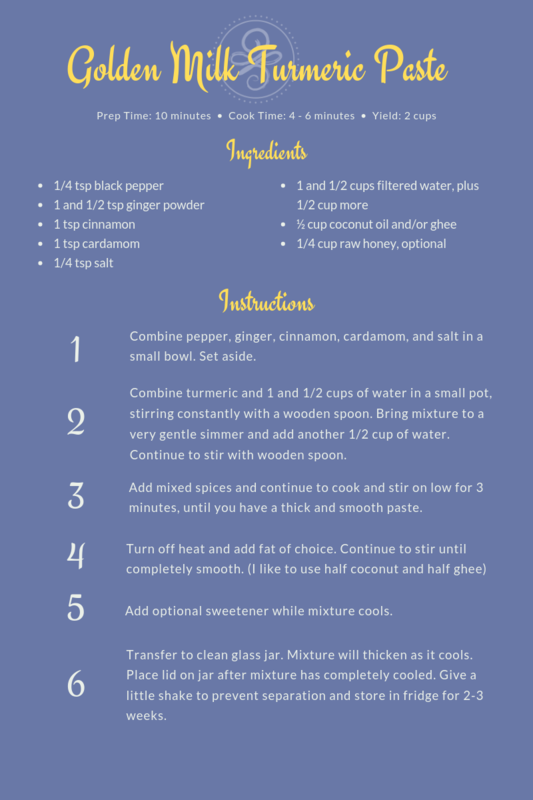 I have played with several different ways to consume turmeric over the years, grating it whole, as a powder in foods, and mixed with lemon as a morning drink. 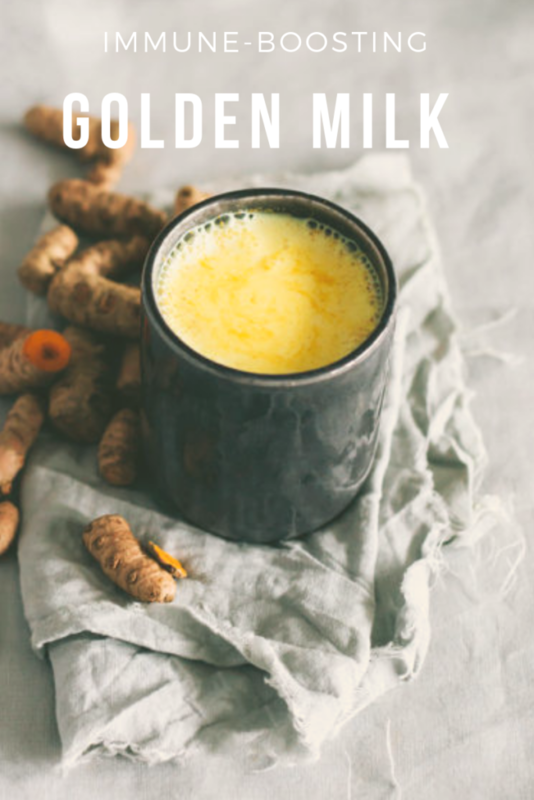 Of all the versions I have settled on this recipe for Golden Milk Turmeric Paste which makes it easy to incorporate into non-dairy or dairy milks at night. As with all turmeric be ready for it to stain anything it touches, well worth the care, I have a dedicated “turmeric” spoon, glass jar, and pan which I wash immediately after making the paste. I have read a lot about tumeric, it is still being researched but sources such as Anya Guy, a Mayo Clinic dietitian says, “Turmeric has natural anti-inflammatory compounds called curcuminoids, and these curcuminoids have been associated with a positive effect on various diseases” (For more information see here). This recipe incorporates black pepper which is said to help with absorption of the turmeric, and the ghee (clarified butter) or coconut oil allows a creaminess to be incorporated with ease. In my experience it lasts in the refrigerator for 2-3 weeks. It is delicious with goat or cow milk, or for those non-dairy folks I have tried it with Oat Milk, Coconut milk, or for a real treat macadamia nut milk. It’s simple to use after you have made it, you take about two teaspoons for 10 oz of already heated “milk” stir to incorporate, pull out your favorite book, and sip away.